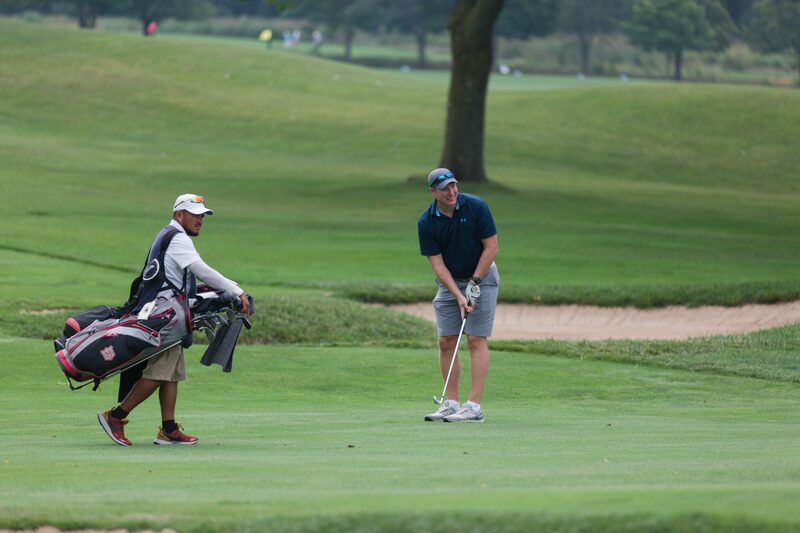 A total of 220 players took to the green on Monday, August 27 for the annual Birdies & Books Charity Golf Classic. It was a beautiful (and hot) day at Onwentsia Club and proved to be a competitive day on the course. With 55 foursomes, the largest field in event history, the competition was fierce. Congratulations to the winning team: Patrick Campbell, Drew Herpich, Geoff Kelley and Nick Shroeger. Their names will be added to the coveted Birdies & Books trophy. Thank you to our sponsors, listed below for their generous support of our mission. Thank you to Birdies & Books Co-Chairs Matt Doubleday and Chip Grace, as well as the task force who helped make this event a success. We are grateful to everyone who spent the day supporting the 300,000 at-risk Chicagoland children served annually by Bernie’s Book Bank.